Walter Aschaffenburg wrote weighty works in large forms, including opera and concerto. But his most frequently performed piece is a fanfare for Blossom Music Center, summer home of the Cleveland Orchestra. The brief composition was one of two winners in a competition sponsored by the Junior League of Akron. Cleveland Arts Prize winner Donald Erb (1966) and Special Citation winner Louis Lane (1971) selected Aschaffenburg’s fanfare from more than 200 entries by 158 American composers. The festive piece was recorded by the Cleveland Orchestra brass, premiered June 23, 1970, and repeated on orchestra concerts at Blossom for the next two decades. The Cleveland Orchestra also performed the composer’s Ozymandias under the direction of Leopold Stokowski and Three Dances for Orchestra under the direction of James Levine. Aschaffenburg, a meticulous composer whose technically challenging music often required a long gestation period, combined 12-tone technique with diatonic melodies and consonant harmonies. His Libertatem Apellant (1976), a miniature opera based on correspondence between John Adams and Thomas Jefferson, makes subtle references to patriotic tunes and Stephen Foster songs. His Oboe Concerto (1986) sings with romantic lyricism. Praised by longtime Philadelphia Orchestra principal oboist John de Lancie as “the most impressive contemporary work for the oboe,” the concerto was recorded by oboist James Caldwell with the Cleveland Chamber Symphony and by oboist Elizaveta Zuyeva with the Russian State Philharmonic Capella. 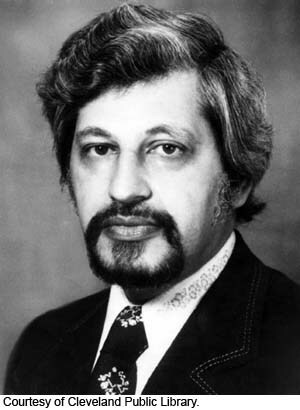 Edwin London (1982 Cleveland Arts Prize winner) conducted both performances. Although Aschaffenburg told an Arizona State University interviewer that he was “not ashamed to learn from performers,” he added that he had never heard a “perfect” performance of his music. The composer regarded his 1964 opera, Bartleby, as his greatest creative accomplishment. Based on the Herman Melville story, the highly acclaimed work was premiered by Oberlin Music Theatre. Born in Essen, Germany, on May 20, 1927, Aschaffenburg immigrated to the United States with his parents at age 11 and became a naturalized American citizen in 1944. During World War II, he served in the United States Army with the counter-intelligence corps. Having begun writing music at an early age, he studied composition formally with Robert Doellner at the Hartford School of Music, Herbert Elwell (1961 Cleveland Arts Prize winner) at Oberlin College and Bernard Rogers at the Eastman School of Music. Aschaffenburg was also a pupil of Luigi Dallapiccola in Florence, Italy. Among his many prizes were two Guggenheim fellowships and awards from the Fromm Foundation and the National Institute of Arts and Letters. 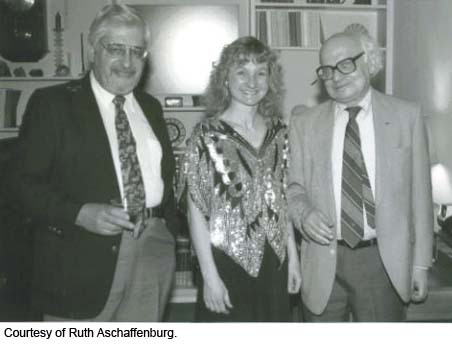 In 1952, Aschaffenburg joined the faculty at the Oberlin Conservatory of Music, where he taught theory and composition for 35 years. He and his wife, Nancy Cooper, raised their two daughters in Oberlin. 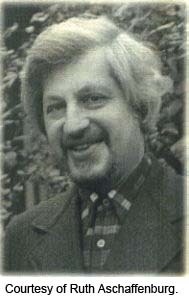 In 1987, Aschaffenburg took early retirement and moved to Phoenix, Arizona, with his second wife, pianist Rayna Klatzkin Barroll. He died there in 2005.